Andrew = 7 / 10. This found footage relates the work and daily life of an amateur serial killer trying to become notorious for his work. 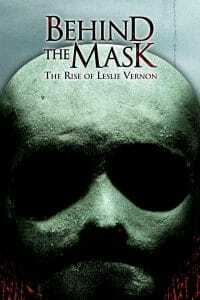 Behind the Mask: The Rise of Leslie Vernon is a slasher that, behind it serious appearance, a parody of other slasher movies. The film takes you on a journey with an amateur serial killer trying to get famous. Now you think that concept is weird, but wait until you see the movie itself. It is extremely absurd, but not at all in a stupid way. Instead, Behind the Mask is a very clever film filled with sarcasm and satiric scenes, which once you get used to it becomes extremely funny. There are a lot of references to cult slasher movies, a feature that horror fans will appreciate for sure. The story itself is great and kind of stressful at times, in the way good slasher usually are. The acting from the main character is remarkable and its enthousiam for killing is really disturbing. Maybe the only drawback is that the end is really predictable. The found footage style is interesting, but does not bring much to the movie. It could have been a normal film and it would have been just as good. Overall, The Rise of Leslie Vernon is a clever comedy but also a great horror film, with some moment that should really creep you out. 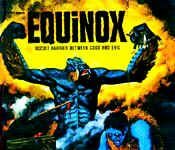 All this contrast makes it a unique movie that I warmly recommend to anyone.